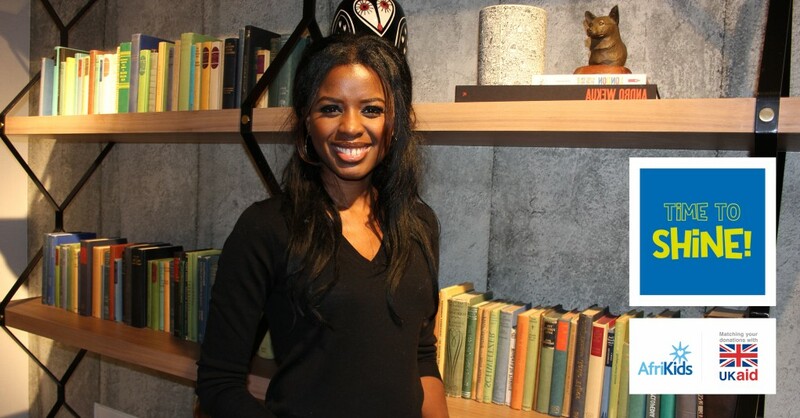 June Sarpong MBE launches our Time to Shine appeal to help kids in Ghana go to school! June Sarpong MBE has today announced the launch of our Time to Shine appeal, raising funds to support children in her country of heritage, Ghana. 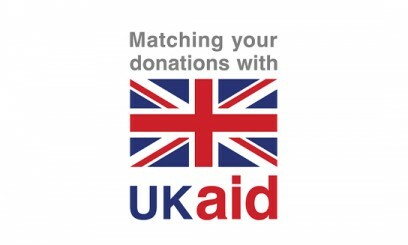 The AfriKids’ appeal also has the backing of the UK government through its UK Aid Match scheme. From 3 December 2018 to 3 March 2019, all public donations to AfriKids’ Time to Shine appeal will be doubled by the UK government, meaning we can reach even more children with your support. Public donations will support AfriKids’ work keeping children healthy, safe and in school and match funds provided by the UK government will specifically support their Opening Doors to Schools programme, ensuring more children in northern Ghana complete a quality basic education and get their time to shine. My education is the foundation my whole life was built on and when I think about the potential that is wasted because children are missing out on school, it’s a no brainer to me that we need to fix that. The Time to Shine appeal is about us telling thousands of out of school children that we believe in them and are going help them get an education to build a better life for themselves. According to Ghana’s Ministry of Education, 65% of children in Ghana are forced to drop out of primary education by the pressures of poverty, and it’s even higher in the rural north where AfriKids works. Common reasons include children needing to work to make ends meet at home and girls being forced to marry and have children young. AfriKids’ works with families to improve financial security; with communities to change beliefs and practices that are preventing children from completing school and also with Ghana Education service and civil society to improve the quality of education being provided. International Development Secretary, Penny Mordaunt, announced that the UK will be supporting more children in northern Ghana to complete a quality basic education, by matching public donations to AfriKids’ Time to Shine appeal, up to £2 million. We are delighted that the British public’s generous donations to our Time to Shine appeal will be matched by the UK Government. A basic education shouldn’t be a luxury, but it’s beyond the reach of the very poor families we work with in Ghana, who work incredibly hard to make ends meet and do the best for their kids. Together we can help them to transform their own lives and give their children the best possible chance of escaping poverty for good.